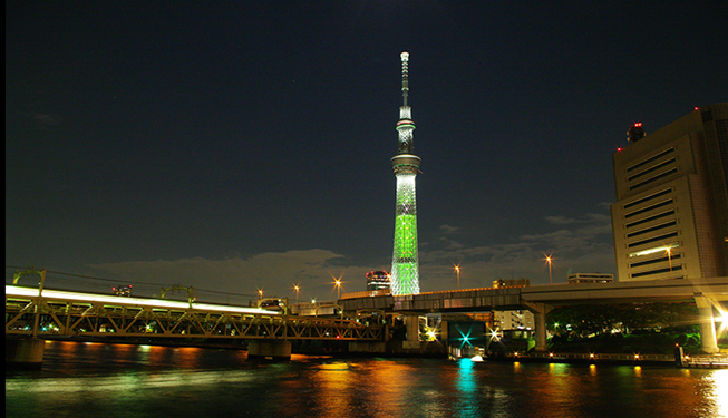 Tokyo Skytree is a major symbol of Tokyo and is the highest stand-alone communication tower in the world opened in May 2012. The hight is 634 meters and 6.3.4 can be read as “Musashi” which is a historic name in Japan. Tokyo Skytree has two heavenly observation decks where you can see whole Tokyo view and the hight of floors are 350m and 450m. After sunset, it is also known as classic dating spot where you can enjoy a romantic night view. The lower floor, hight 350m has three levels with great views from all of levels. 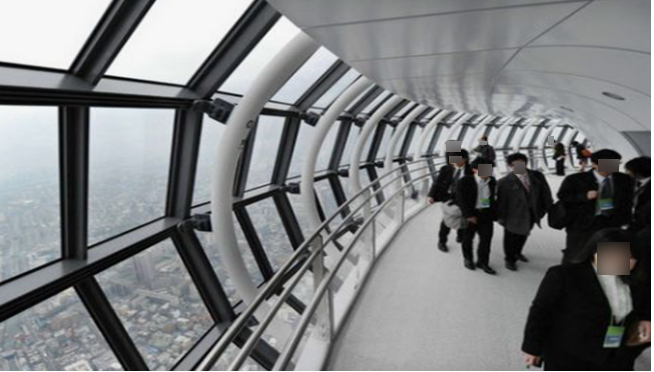 The feature of top level offers 360 degree panoramic views of Tokyo. 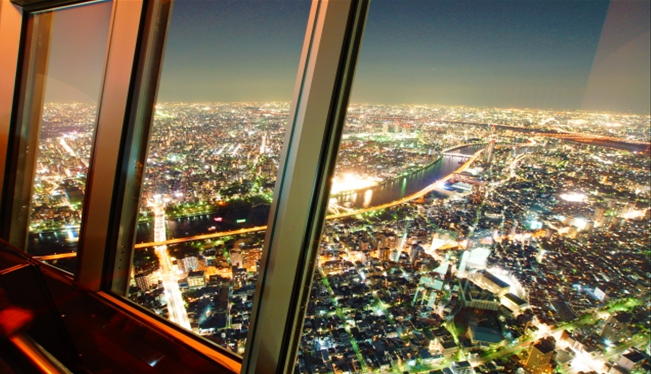 The second level has French-Japanese combination restaurant named “Musashi Sky Restaurant” with great views. Probably this level is the best for dating. The lowest floor has a cafe where you can take relaxing time with the views and also has glass panel on the ground that you can see the ground of Tokyo Skytree from 350m height. The 450m deck has Tembo galleria with highest skywalk in the world. The Tembo Gallery consists of a sloping spiral ramp which gets height as it circles the tower and the highest point is 451.2m. While walking from bottom to highest point, You can see perfect view of Kanto region. 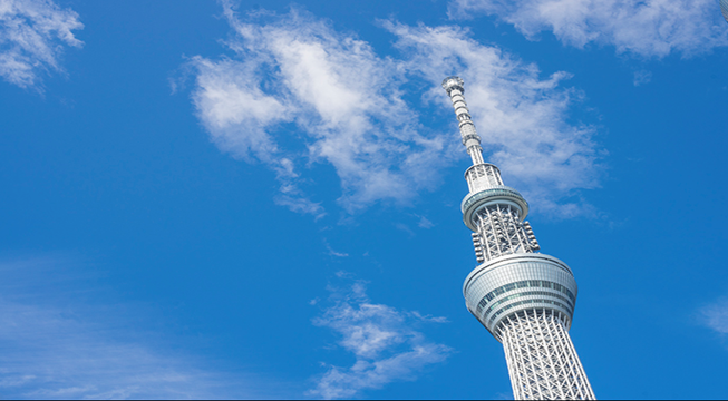 Fast Skytree tickets are specific type of tickets which is more expensive than standard tickets but it allows people to skip the line on your way to the main observation deck without waiting time. Prior reservation is possible by internet from two months before visiting date, however laungage of internet registration system is in Japanese only and limited to purchase by credit cards issued in Japan. This is probably easiest way coming from following terminal stations to Tokyo skytree town by shuttle bus.